Well, I have a confession to make: I might have an addiction! I’m a sucker for paper rolls crafts (check these out if you don’t believe me!) and I’m afraid there’s no cure for my condition (lol). But in my defense, they’re really super fun, easy and enjoyable and these amazing toilet paper roll bats are the perfect example! This bat craft is super speedy, it literally takes minutes to make once the paint has dried and is a great opportunity to bond with kids over a fun project. 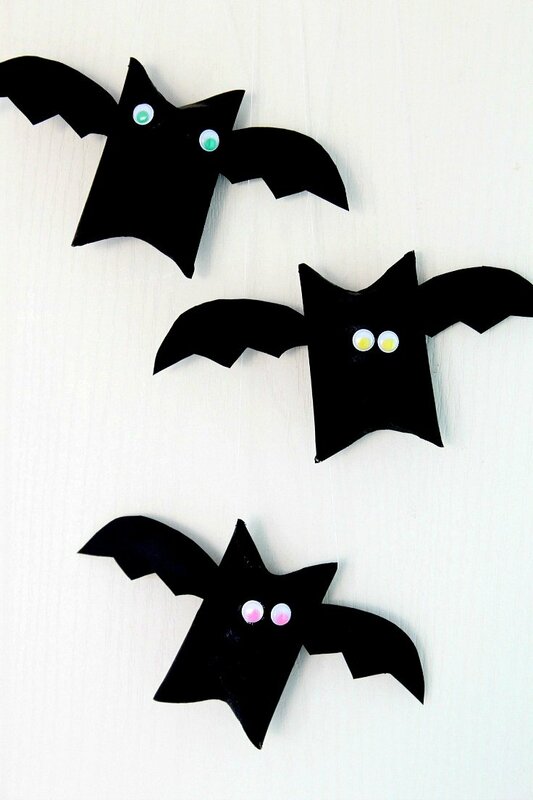 Perfect Halloween craft for kids, these Halloween bat crafts are a wonderful recycling idea for all those paper tubes you would normally toss in your trash bin. These toilet paper roll bats would look good hanging on a white wall or from the ceiling but are also a nice decor idea for your kids’ desk. 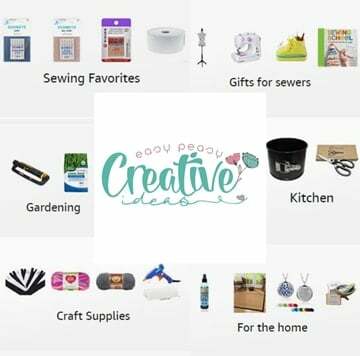 It could also make a nice mini gift box or a treat holder idea. 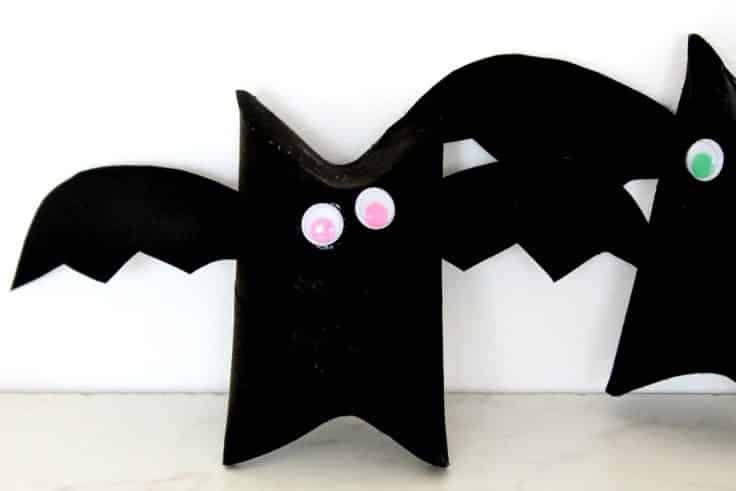 With Halloween right around the corner, this Halloween bat will be a great way to get the kids in a spooky mood! These bats are too cute, fun and easy to pass up! I think these little bats look rather cute than spooky or scary so if adorable is not your cup of tea you may not find this project as enjoyable as I did. In fact, I loved these so much I found it hard to part ways with them so I had to make another batch for my daughter, I’m totally keeping them for my room! Take your paper tubes and the paint outdoors and start painting the paper tubes, both on the outside and inside (paint the white paper too if you don’t have black, on both sides). If you’re making this project with kids, I would have them wear a mask to protect them from the fumes, protection goggles and gloves. Or you could paint yourself. You may want to apply a few coats to achieve the desired color. Leave to completely dry, at least for one hour, after the last coat. If you find it hard to wait for the paint to dry, simply wrap black paper around your paper tubes, sticking it in place with tape and proceed to the next step. Fold the ends in on the toilet paper roll as indicated in this tutorial. Glue the wings to the paper tubes, on the back. Attach some thread to the bats’ “ears” using a sharp needle. Make a knot at the end of the thread then start threading from the inside of one ear. Go through the other ear from the outside towards the inside and make a knot. As a rule of thumb, the knots should be on the inside of both ears. 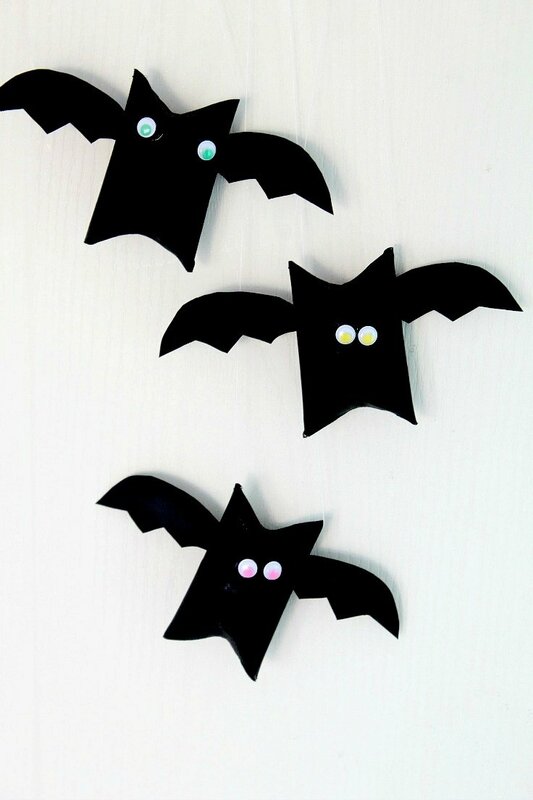 Hang your cute bats on a wall or the ceiling or use them to decorate your kids’ desk. How adorable and so easy! Thanks for linking up to Merry Monday! Pinned! Have a great week! So cute and easy. I love how that the only thing I really need to buy are the squiggly eyes. Thanks for the tutorial!